The Designer Office offers 30% off RRP on all our stylish seating ranges, in addition to offering free delivery and free installation. You can be rest assured that The Designer Office will always provide the best possible price while maintaining a high standard of customer care. Our seating range offers your workplace a variety of seating solutions, whether you are looking for seating for your call centre, office, staffroom, school, college or university. 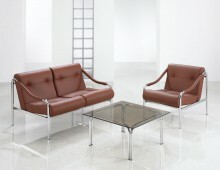 The Designer Office team will work with you in helping you choose the most appropriate and affordable seating solution. The seating ranges that we are proud to offer include, Reception Seating, Breakout Seating, Office Seating, Mesh Office Seating, Ergonomic Seating and Executive Office Seating. It is important to ensure that your seating is suitable for its purpose. In a reception area the seating must serve two purposes. Firstly the seating must be visually interesting reflecting your company branding, and secondly it must offer comfort during the time your client is kept waiting. We ensure we use suppliers who offer the best reception seating solutions, so that we can help you provide your clients with the best first impression. Seating is a subtle yet effective way of making your visitors feel welcomed and at ease, whether they be potential clients, candidates for a job or important business partners. Our choice of executive office chairs help to reinforce the feeling of professional integrity in your boardroom setting, while also offering comfort during important business discussions. We help you carefully select meeting and boardroom chairs that meet your budgets, but above all provide the best impression of your organisation. Our office seating solutions offer the best compromise between affordability and quality whilst providing durable seating that is fit for purpose. 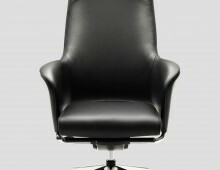 The correct seating ensures your staff are comfortable, and can also help to minimise work related injuries. 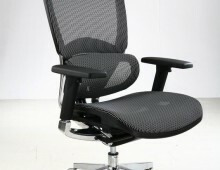 The Designer Office’s range of mesh back chairs offers your back support but also provides air flow. Our ergonomic range of seating provides you and your staff with the physical support needed to reduce back injuries and RSI. Our seating experts will be pleased to advise you on the benefits of providing the most appropriate office seating within your workplace. In the battle against work related stress, a breakout room is the perfect way to offer staff an area to unwind and relax during their break times. 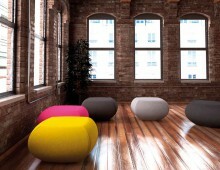 We supply a range of seating for breakout areas, including our soft seating solutions. Schools, Colleges and Universities find our breakout seating solutions perfect for their students during informal discussions or quiet times. Our experienced team will help you identify the best breakout seating solutions for your requirements. The Designer Office’s knowledgeable team will help you choose the best seating solutions for your requirements, and at the best prices. While some of our range is represented on our website, the full catalogue of seating solutions is available by calling 01902 886748 . Images of our office seating are available on the site, but to see the full range enquire about a catalogue today or speak to a member of our team on 01902 886748.